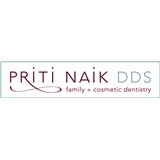 Priti Naik DDS, Family & Cosmetic Dentist (Vienna) - Book Appointment Online! A visit to the office of Dr. Priti Naik will change the way you think about dental care. Dr. Naik offers personalized service and family-friendly dentistry in a casual, relaxing environment. Our entire team cares about your total health and provides quality general dentistry, preventive dentistry, cosmetic dentistry, and restorative dentistry therapies for lasting smiles and whole-body wellness. We've combined technology with comfort for an exceptional, gentle, dental care experience. Kids love our fun play area and upbeat, energetic staff. Adults appreciate our patient-focused philosophy and dedication to delivering premium services like Invisalign clear braces and Zoom! Whitening. And because your schedule is busy, we offer convenient office hours and weekend appointments. Giving You Smile after Smile. Dr.Naik was friendly, professional & thorough. I would definitely recommend her.